Since Clay Aiken signed with Decca/Universal Music Group, it has been interesting to watch the changes and growth the UMG has gone through in the last 6 months. On January 11, 2010, Lucian Grainge was named chief executive of the largest music company in the world. Mr. Grainge has been the head of International Operations for UMG. Lucian Grainge was hand-picked by Doug Morris and will take over as CEO on Jan. 1, 2011. Until that time, he will share responsibility with Morris. Morris, who is 71, has headed Universal Music since 1995. He will remain chairman of the label. The 49 year old Grainge has, for 5 years, run the international group, where he has helped grow the label’s market share and introduced new acts. He started his music career in 1997 with CBS/April Music where his job was to find and develop new artists. He assumes the reins of Universal Music Group at a time when music piracy continues to erode sales. The label saw a 5% revenue decline in the nine months that ended in September. Universal Music has attempted to develop new digital revenue streams through ventures such as its new, ad-supported Vevo online music video service developed with the help of Google Inc.’s YouTube. Grainge said he has seen some success globally with emerging services like Spotify, the Swedish firm that offers on-demand music streaming, and Nokia’s “Comes With Music” which gives customers who buy a Nokia mobile phone a year’s worth of unlimited access to songs on the device. Vivendi, the French owners of UMG said that they were pleased to see a young executive who was willing to take risks and experiment with new ways of getting music to all consumers. Thanks CANN for the information on Mr. Grainge being the new CEO, next year. We all know that something has to happen in the music industry, as sales have eroded. They seem to have a calm and direct approach to their artists. I can't wait to see how they will promote Clay Aiken. Clay and Decca records just seem like such a good fit. It is getting exciting. 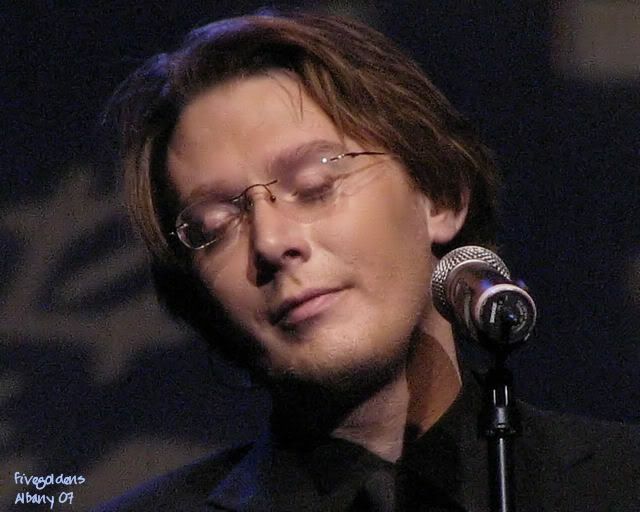 I love the new arrangement on this site, I became a Clay Aiken fan 2 yrs. ago by accident,I was watching AI2 rewind I was absolutly blown away by this mans Voice and his whole demeaner. I never ben an active fan of ANY celebrity,how ever Clay Aiken got me hooked to the extent that not a day goes by with out me checking out different vidios on YOU TUBE. and all his involment regarding kid's Fay Parker raised one hell of a nice guy. Rita…………….none of us know for sure what the big news is. However, most people feel it is an announcement of his PBS special and how we can get tickets for the event. Thank you for your excellent research on Clay Aiken's new label. Looking forward to an exciting ride on the Clay Train! Thanks for the info on the changes going on in UMG. It's exciting that Clay Aiken has chosen them as his new label. Error: Error validating access token: Session has expired on Tuesday, 21-Aug-18 16:13:01 PDT. The current time is Wednesday, 24-Apr-19 22:08:22 PDT.